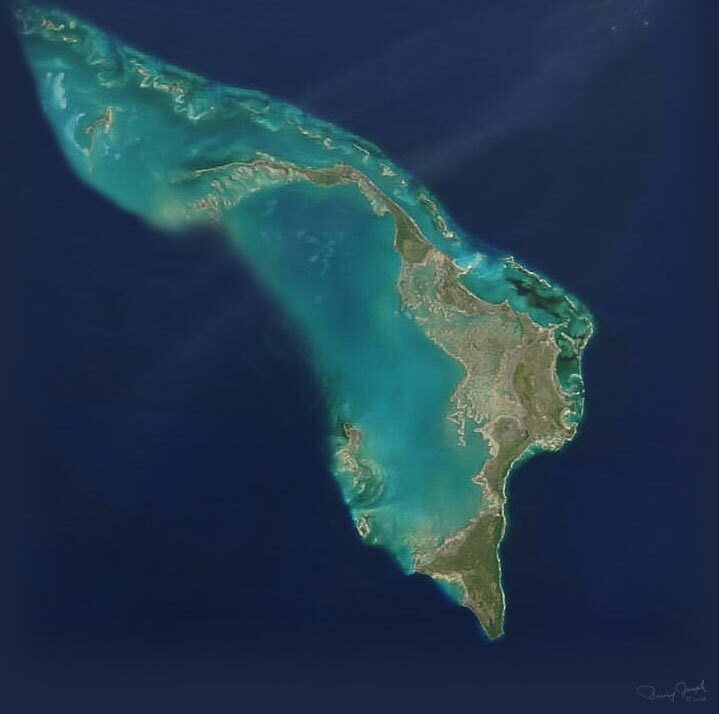 3/23/13 We are getting ready to explore a new place in the Bahamas in May! It’s the town of Marsh Harbor in the Abaco Islands. Our first trip meeting happened the other night here in Marathon, Florida where I learned that we are hopping a private flight from Key West Florida to Abaco Bahamas. So far I have learned that we can each bring 35 pounds of gear with us, there will be a 40 foot cat hull boat waiting for us, we will be freediving, spearfishing, and rod and reel fishing. Add a little Rum and I am a happy camper! A little talk of night diving was thrown into the mix also. We will be hunting with Hawaiian Slings and maybe polespears. Lobster will be out of season and I am bringing bacon! I wonder if I can talk everybody into bringing a 10 meter F-One Kiteboarding kite, kiteboard, and kiteboarding harness with us in case it is windy over there. The Hawaiian sling shafts are on order as well as the Hawaiian slings. I have the task of mounting a reel to a couple of the Hawaiian slings and while I am at it I will try to mount a camera to one of them. Below is a satellite picture of The Islands of Abaco. Hundreds of islands, we will only be able to scratch the surface! Day one, Friday. We had a weight limit for the gear we brought on the airplane, we brought way too much so the kiteboarding gear had to go. It was a bummer because most of the trip’s forecast was 20 to 25 knots of wind. This was a spearfishing trip not a kiteboarding trip anyway so I didn’t mind much at all. The airplane ride over was phenomenal! The clear sky’s, great company, and big windows made the 2 hour flight from Key West to Abaco the best flight ever. From start to finish, there was something to look at out the windows, from the heard of boats heading to Bimini, to all the different Keys or Cays that make up the different island chains we flew over. There were boats fishing the weed lines, airplane wrecks, giant mullet clouds in the shallows, and swirls of ever shade of blue water you can think of. Once we landed, customs was super easy, they shuffled us through so fast you would think we didn’t even leave the United States, they didn’t look through any of our bags. The taxi was waiting and loaded when we got out there except for a couple of bags that we had in our hands. The super nice taxi driver lady took us right to The Moorings, a very nice resort and yacht charter place where we spent the evening on the yacht that Tim and Loretta Green chartered. Once we got settled in, we hopped in a taxi again and went to the famous Conch Salad stand. The little blue shack served Conch Salad that was as good as we read about. The best we have ever had! That evening on the walk from the yacht to the restaurant where we ate dinner, a very slow moving Meteor traveled from horizon to horizon fading away in the light haze of the evening. Two pieces broke off at the same time and followed the main part, very slowly lagging behind and spreading apart as it crossed the sky. When the meteor was overhead the light in front of it seemed to grow huge for a bit radiating out in a reversed cone shape like you would see in pictures of sonic booms. It must have been very high in the atmosphere because it was moving very slow. It was so big and bold it made some ladys scared and concerned, we could tell by the way they were talking to each other. If it was any bigger they would have been borderline hysterical. The meteor took well over 5 minutes to travel out of site so we had plenty of time to talk about what it actually was. I say it was a meteor and one other guy insists it came from Cape Canaveral. It is definitely an event that will be in the news. UPDATE, It was in the news and it turned out to be a military satellite being launched in a rocket. Dinner was good. The Bahamian pizza had Conch on it and the girls next to us were good and drunk. One of them even fell down the steps as she was on the hunt to find a date to go home with! Day two, Saturday. Was filled with diving tons of different spots while we got ourselves familiar with the lay of the ocean. We ended up with all kind of goodies like Conch, Flounder, and Snapper. It was tough going at first but fun all the way. We spent the night at Bakers Bay Resort on Guana Cay, did a little spearfishing from the dingy, ate dinner, and fell asleep at about 10PM. Day 3 Sunday. The day started off with a golf cart ride into town to get some groceries and booze but because of island time, both stores were closed. We sat at a small outdoor bar and talked with a guy named Forest who said the stores will be open in a while. We sat there and had a couple of beers while we waited for opening time. Forest was really nice, he kept us entertained with interesting info about the island, like George Straight kept his yacht on the island and that he was a really nice laid back guy, not like you would think the king of country would be like. Forest even offered to show us some spearfishing spots if we brought a chart in. We left the bar about 15 minutes after the stores were supposed to be open but when we got there, they were still not open. So we went back to the resort and patronized the store there. The ride into town was worth it because the sites were so beautiful. Once we were all settled for the morning we headed out to a Spearfishing spot that the crew of the 100 foot yacht, Scott Free, told us about. It turned out to be a great spot in 15 feet of water that was loaded with fish. It was a spot that locals dumped cars, boats, mowers, trailers, golf carts, and other junk. It attracted tropical fish, Snapper, Grouper, Amberjack, Lionfish, Triggerfish, and Jacks. We found a couple of other spots that had cars on them. It’s amazing how much life artificial reefs attract. Day 4 Monday. Ate a little breakfast and then we went on our way to Green Turtle Cay. The ocean was rough as heck but still crystal clear so on the way we anchored behind some islands to explore the beach and look for a spot to shoot some fish. We didn’t shoot any fish but we did find a great beach. It was clean, soft sand and I noticed there was almost no trash on the beach. There are a couple of sand angels there now! So after the photo opportunity and the tide change, we pulled anchor and went to the marina for the night. The golf cart ride to dinner was nice. It took 45 minutes of driving around the island to find a place to eat, which turned out to be very close to the marina we stayed at. The roads were half dirt and half paved or cement and went up steeper than normal inclines. Day 5, Tuesday. Woke up to a windy gloomy day today. It has been windy the whole trip but today it is gloomy too. No rain though! Breakfast was Fruit Loops and left over Conch from last night’s awesome dinner. So into town we went to restock our tortilla chips and beer supply. On the way we found a road that went along the beach on the ocean side and we noticed there was reef very close to the shore. Once we got back from our replenishment trip we reported our findings and then back to town to do some site seeing. As soon as we looked at the close reef again we tuned around and headed back to the dock to get our Spearfishing gear. So much for site seeing! We made our own site to see, a 4 seater golf cart loaded with 5 people and all our freediving Spearfishing gear. And on top of that add a grill and a cooler filled with beer and seafood to cook on the beach after our dive. This was our first shore dive because it has been so windy and rough around the Abaco Islands. We were able to here because of all the shallow reefs knocking down the surf. It was the best reef I have ever seen. Some spots so shallow they were sticking out of the water. I saw a Brain Coral on top of the reef two foot in diameter, only a foot underwater! There were lots of big fish but they were so skittish we couldn’t get close to them. After the amazing beach entry reef dive we went to the leeward side beach and had a cook out and beach fire. A tipsy Turtle drink at the Bluffs Marina bar and it was off to bed, of courses after a few beers on the boat and taking pictures of people passed out in places besides the beds. Mmmmmm Rum!!! Day 6, Wednesday. Woke up to another gloomy day, ate Kevin’s yummy breakfast, took a nap and headed back to Marsh Harbor, Abaco. The wind is even stronger today and there is a threat of our flight home being postponed tomorrow. One forecast is saying 40 to 50 knot winds tomorrow in the Florida Keys! The outer pass around Whale Key was pretty rough but the 40 Moorings Cat made it through like a champ. We stopped at a couple dive spots and shot a few fish before making it back to The Moorings in Marsh Harbor. That evening we cooked all the food we could and ate it all because we couldn’t take it on the airplane ride home. We ended up giving a lot of food away! Day 7, Thursday.Time to go home! Nobody wanted to go home but at least we are going home to The Florida Keys!!!! Packing all our things and cleaning up the yacht took all morning, we finished with two minutes to spare! The airplane flight home was just as nice as the ride to Marsh Harbor. It took an extra hour because the pilot had to run all over the state of Florida to avoid the thunderstorms that were everywhere. It took an extra hour!!! Thank you Tim and Loretta for inviting us!! !